I was featured on Just Grow Already! Jen, the power behind the blog, is a texlaxed, waist-length, blogger, who is very inspiring. Her blog is simple, to the point, and easy to follow. 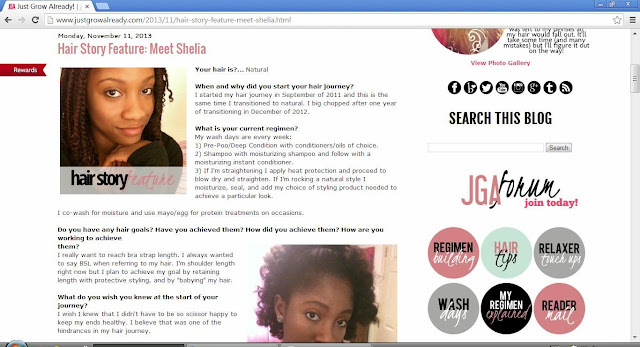 Jen's blog is packed full of useful information including: her regimen, wash days, product reviews, and hair guides. 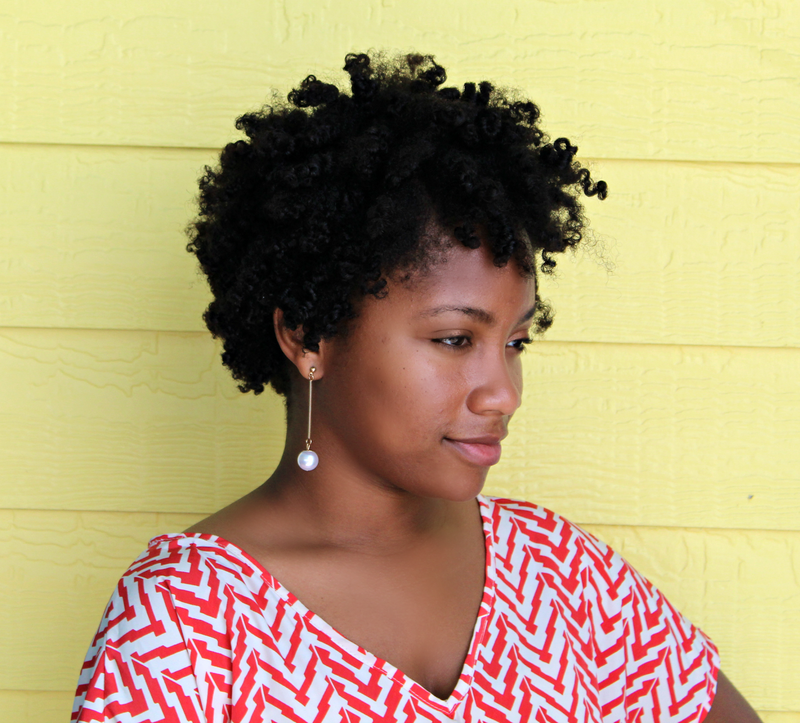 She is a savvy blogger and was my inspiration to start a blog. This was my first hair feature. Check it out HERE! 2 comments on "Featured on JGA"